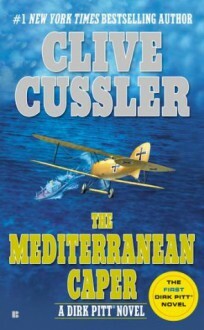 Dirk Pitt rides a tidal wave of intrigue in this classic Cussler. On an isolated Greek island, a World War I fighter plane attacks a modern U.S. Air Force base--a mysterious saboteur preys on an American scientific expedition--and Dirk Pitt plays a deadly game of hunter and hunted with the elusive head of an international smuggling ring. This was the first published book in the best-selling Dirk Pitt series. Lots of adventure, romance, and evildoers to overcome though perhaps a bit dated. Listened the audio version reliably read by Michael Prichard. Three stars, if I consider it a period piece. :-) Otherwise I would have to slap Mr. Cussler for his portrayal of the woman. Very 1970s.It's short and clearly "early." But it was fun to "see" Dirk in uniform with his gold oakleaves. And as always, Al is a critical element to my enjoyment. Not nearly as involving and well thought out as Cussler's later books... And the sexism is incredibly obvious! Not one I would reread.